In the 1960s, art patrons Dominique and Jean de Menil founded an image archive showing the ways that people of African descent have been represented in Western art from the ancient world to modern times. Highlights from the image archive, accompanied by essays written by major scholars, appeared in three large‐format volumes, consisting of one or more books, that quickly became collector's items. A half‐century later, Harvard University Press and the Du Bois Institute are proud to have republished five of the original books and five completely new ones, extending the series into the twentieth century. 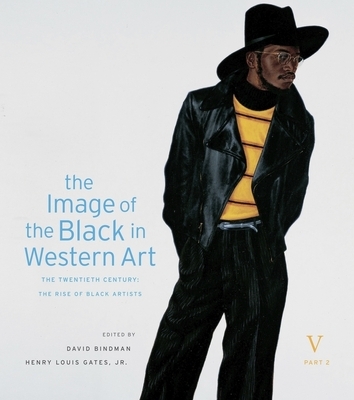 The Rise of Black Artists, the second of two books on the twentieth century and the final volume in The Image of the Black in Western Art, marks an essential shift in the series and focuses on representation of blacks by black artists in the West. This volume takes on important topics ranging from urban migration within the United States to globalization, to N gritude and cultural hybridity, to the modern black artist's relationship with European aesthetic traditions and experimentation with new technologies and media. Concentrating on the United States, Europe, and the Caribbean, essays in this volume shed light on topics such as photography, jazz, the importance of political activism to the shaping of black identities, as well as the post-black art world.